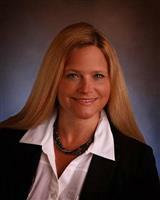 SRSmithrealestate.com is your top source for all real estate needs in Northwest Vermont. When it comes to relocation advice, local information and the latest properties on the market, SRSmithrealestate.com is the most experienced, trusted and reliable source. Whether you’re looking for a lakefront property on Lake Champlain, a quiet single-family home in Essex, vacation property by Smugglers’ Notch or anything else in between, SRSmithrealestate.com is the only place to go. Homes for sale in St Albans VT enjoy picturesque scenery as well as competitive prices and solid property values. Amenities in this charming city include excellent public schools, Amtrak service and abundant parkland and nearby ski resorts. Local attractions and events include the plentiful shops and restaurants of the Saint Albans Historic District and the annual Vermont Maple Festival. Lake Champlain offers breathtaking scenery and world-class fishing, boating and water sports to enjoy. Single-family lakefront homes are available at very reasonable prices as are vacation and summer homes. Homes for sale in Lake Champlain VT enjoy solid values and make great choices for families, retirees and vacationers alike. With their idyllic scenery and modest prices, homes for sale in Swanton VT offer some of the best deals in the region. In addition to its affordable real estate market and quiet atmosphere, Swanton boasts an exceptional quality of life, great public schools and easy access to acclaimed ski resorts and the stunning Lake Champlain. Fairfax is a quiet town filled with small town charm and rich New England scenery. It offers an outstanding quality of life, abundant parkland and easy access to Burlington and the region’s wealth of ski resorts, state parks and nature trails. Homes for sale in Fairfax VT enjoy competitive prices and make superb choices for families with young children, commuters and retirees. Homes for sale in Grand Isle County VT enjoy picturesque views of Lake Champlain, close proximity to Burlington and very affordable prices and interest rates. The county boasts spectacular scenery, exceptional schools and public parks and a wealth of outdoor activities such as fishing, kayaking, sailing, biking and much more. Burlington offers unrivaled views of Lake Champlain, a miniscule crime rate and a rich variety of galleries, restaurants and shops to explore. Homes for sale in Burlington VT boast affordable prices, strong property values and a prime lakefront location. The city is an especially great choice for families and recent college graduates seeking affordable starter homes. The quaint town of Essex offers easy access to Burlington, picturesque scenery and a modest cost of living. It also boasts amenities like Amtrak and attractions like the Harriet Farnsworth Powell Museum. Homes for sale in Essex VT enjoy beautiful views and very affordable prices overall. Homes for sale in Stowe VT offer easy access to the acclaimed Stowe Mountain Resort as well as nearby nature trails, lakes, golf courses, parks and other destinations. The town also offers plenty of friendly charm and a low cost of living overall. Homes for sale near Smugglers Notch VT offer direct access to world-class skiing and other summer and winter activities like biking, camping, fishing and much more. In addition, the area enjoys beautiful scenery and a wealth of shops and restaurants to discover. No matter what type of property you’re looking for or what you’re budget is, SRSmithrealestate.com is your top source for local information, community news and real estate updates. 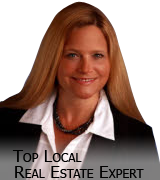 Be sure to contact real estate expert Rachel Smith today for the latest real estate news and top homes on the market in Franklin, Chittenden and Grand Isle Counties. This is a one-stop real estate website for all your home buying and selling needs in St Albans, VT.